Insurance plans usually cover STD testing at your doctor’s office or at an STD testing clinic, but the specifics of this coverage will vary by insurance company. Asymptomatic STD screening is considered a preventive care service. Contact your insurance provider to find out which tests they cover or look on their website for a list of preventive care services. Preventive care is separate from diagnosis and treatment, which will be billed separately. If you are experiencing symptoms your test is no longer considered preventive and will likely not be fully covered by insurance. Under the Affordable Care Act (ACA), chlamydia and gonorrhea preventive screenings are free for women under 24 (older women are also covered if they are high risk. ACA also covers HIV and syphilis screenings for sexually active men and women. No other STD screenings are mentioned. What are the benefits of using insurance for STD testing? STD testing with insurance lowers the cost of being tested. If cost is a barrier, it is definitely better to test with insurance than not to test at all. Read more here. Does myLAB Box take insurance? 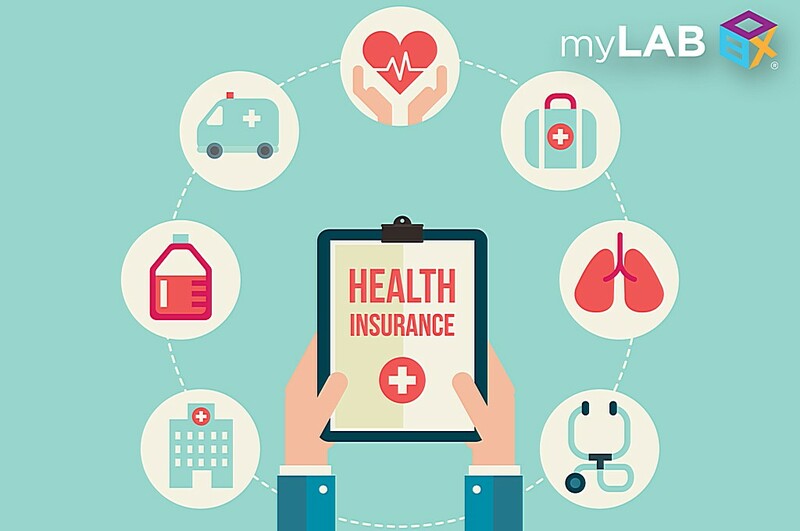 myLAB Box does not accept insurance because we don’t want to share our customers personal data with insurance providers or the Medical Information Bureau (MIB). Health insurance providers and their affiliates can use screening results to raise your insurance premium in the future. Results are also shared with the Medical Information Bureau as health risk codes which are available to other insurance providers. In addition, tests taken with insurance become part of your medical record and can increase your insurance premiums in the future. We work to keep our tests affordable without insurance so that our customers are able to maintain their privacy and insurance premium without losing access to STD testing and accurate results. We provide the same lab-certified results that you would receive from your doctor’s office or a clinic. myLAB Box does accept HSA/FSA payment cards. Who can see my STD test results if I use insurance? Any test taken using insurance can become part of your medical record and be used by insurance companies in the future. Results are reported to the insurance company directly and are often accessible by the companies affiliates. Insurance providers often send an Explanation of Benefits (EOB) to the primary account holder for billing purposes that may include information about tests received by other account members. This means that anyone using a family insurance plan may be sending their testing information home. In addition, many insurance providers have online portals that provide access to tests taken and results. How much does an STD test cost with insurance? Under the Affordable Care Act (ACA), some preventive STD screening is free. This includes chlamydia, gonorrhea, syphilis and HIV screening for women and syphilis and HIV screening for men. If your test is not included as a preventive screening or if you are experiencing symptoms and visit a doctor or clinic for diagnostic testing, the out of pocket cost will vary with your insurance plan. Some clinics will offer a single free test for qualifying patients. Typically, you must show proof of income and have no insurance to qualify. What is the difference between preventive screening and diagnostic testing? A screening is a basic test given to a patient who does not show any symptoms of the condition in question. When a person does have symptoms, the pictures changes, as the chance uncovering something greatly increases. A diagnostic test is typically use to confirm a condition after the initial testing reveals the possibility. These type of tests are often more expensive and dangerous than the initial tests. But, in the end their usefulness will far outweigh their risk. myLAB Box individual test kits for chlamydia+gonorrhea, trichomoniasis, HPV, syphilis, genital herpes, HIV, mycoplasma genitalium and hepatitis C are $79 each. We also offer combination test kits that test for multiple infections and are more cost-effective than purchasing individual test kits. Combination test kits are best for routine asymptomatic testing and testing when symptoms could indicate one of several different infections.